Keeping harmful and dangerous substances safely secured in the workplace can be easily achieved with this affordable storage chest. 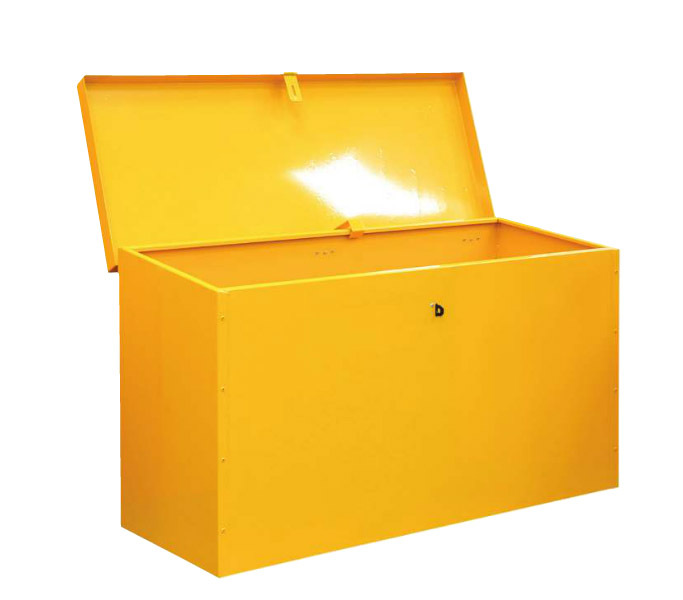 Finished in a highly visible yellow paint finish, the chest is immediately recognisable as a place for storing chemicals, paints and other hazardous items. A strong steel construction provides a durable storage solution in any industrial environment whilst an angled lid section helps to stop people from stacking items on top of the unit. Use this chest for storing heavy and bulky containers that do not sit well on shelves.